While you may be keen to get into the studio and start recording, it is important not to get ahead of yourself. There are a number of “musts” to tick off before you book yourself a recording session. It may sound obvious but having a range of material written and ready to go is a necessity. It is rumoured that Michael Jackson wrote an average of 100 songs for every album he made. Now, I’m not suggesting that you need to go to this extreme, but it is important to have a range of material to work through. Once your material is written and ready to go, envision what you would like your finished product to sound like. Listening to music from other artists of a similar genre may help. 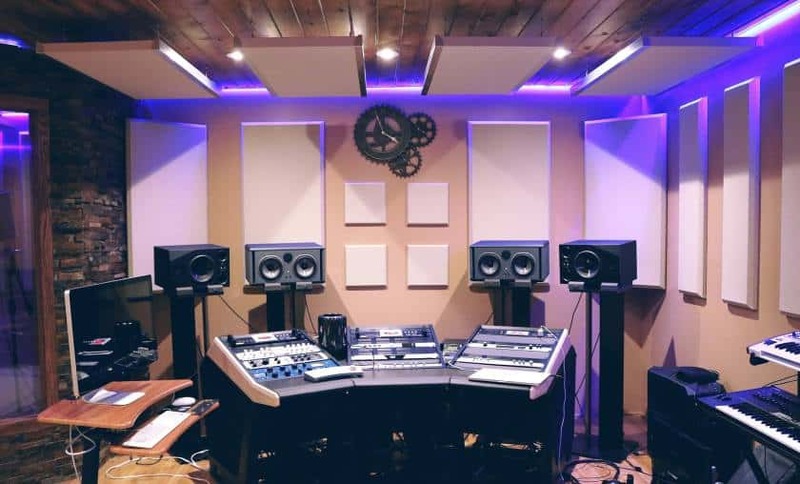 Knowing what kind of sound you want to achieve will help you or your engineer set up the studio to ensure you get the envisaged sound from the equipment. Whether you are a solo artist or recording with others, practise is imperative. Make sure you know your parts ahead of time to minimise mistakes that will inevitably be made due to the nerves and high pressure environment of being in the studio. If you are recording alongside others, make time to practise together. The studio is a great place to build on the basics but repeating takes over and over, due to lack of practise, and avoidable mistakes is a huge waste of time (and money). In the studio, you will doubtless be faced with unexpected issues: cables may snap and data may be lost. Again, attempt to minimise these and the impacts by being as organised as possible. Have spare strings, drum sticks and plectrums with you. Make sure you have lyrics or sheet music printed off and ready to go if necessary. Your time is valuable: don’t leave things up to chance. You’re all organised and prepared, you’ve practised until you can play your material in your sleep and the big day has arrived. How do you make the most of your time? On the day, make every effort to arrive at the studio in a timely manner. This will help you to begin with a positive attitude — you are more likely to feel like you are getting your money’s worth. A loose schedule for the day will help you to stay focused. At the very least, arrive with a realistic minimum target you would like to achieve. If you are well-practised this shouldn’t be a problem, however, don’t set your expectations too high as it is hard to predict a studio session in its entirety. Planning to record entire songs rather than parts is beneficial. If you can get a few decent recordings of each song then you will invariably have enough material to mix in your post-production sessions. You can then focus on any individual parts that need some work. While having both a plan and a vision is useful, it’s important to remain flexible on the day. Things break and mistakes are made which may affect the quality of sound that is produced. Preparation and flexibility are the keys to remaining cool and calm when things don’t go quite to plan. Be prepared to bring your break forward to release the tension or use it to practise any sticky parts and iron out the creases. Worst case scenario, you can always reschedule. Conversely, you may arrive with an idea and your producer may hear something completely different that could improve your sound. Be open to trying new things and let your creativity flow. As keen as you will be to get started, don’t skip the warm ups. Spend some time warming up your voice, your fingers and your instruments. If you don’t, your first hour is — at best — your warm up itself, but, at worst, you risk injury and fatigue. By the end of the session it is likely you will be sick of the sound of your own music and fatigue will affect your how you view your recordings. Try to remember that this is normal and your personal investment in your music is likely to cloud your judgement. To avoid becoming disheartened, don’t be tempted into listen to your recordings and making any big decisions on the day. Instead, give it a day or two and return to your recorded material with ‘fresh ears’. Your day in the studio is a snapshot of your journey as a musician. It may not be the best you’ve ever played but by following these tips hopefully it will be the best you played on the day with the equipment at hand. But, the pressure of the environment can also be useful for getting your creative juices flowing — channel it and endeavour to be the best you can be. Do you have any tried and tested techniques that help you to get the best out of your recording sessions? Let us know your tips in the comments below. Can Anyone Learn to Sing?